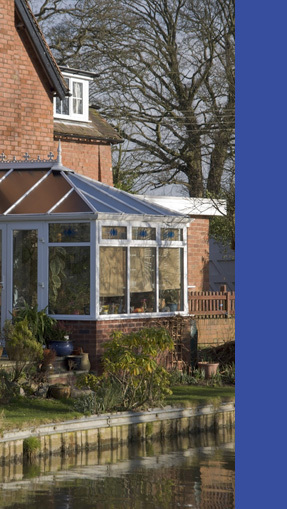 With many ranges available, we are sure we can supply the right conservatory for you. Our years of experience covering thousands of installations enable you to benefit from our vast knowledge of the conservatory market. Incorporating all the best features of uPVC, the new integrated system is a new generation70mm lead-free profile, combining the best of style and performance. This innovative profile, which has the highest attainable BSI Class A specification, combines strength and value for money with a truly elegant new sculptured appearance, following the lines of many timber designs. We can offer a choice of white or wood-grain finish with concealed gaskets, choice of glass, clear or coloured polycarbonate roof and a uniquely sculptured pinnacle which has no holes in the roof which could allow water to penetrate. Colour finishes with guaranteed resistance to weather; water, alcohol (50%), scratches, spirit and salt are available in a vast fade-free range. The complete frame or door is sprayed using an infra red heat reflective coating system, specially formulated to make a permanent coating. A second clear lacquer coating is then applied. With a ten-year adhesion guarantee, this highly durable finish will not crack, flake or peel. AN INNOVATORY solid roof sun lounge which can be built to suit any situation is available exclusively in the area through Needham Home Improvements. Supplied as a kit from the manufacturers and erected by skilled craftsmen, this offers a lower-cost home extension option with more durability and flexibility of usage than a conservatory. The basic module, for which there are patents pending, is solid rather than glass or plastic roofed, giving the advantages of better temperature control, no roof maintenance, less ultra-violet degradation, is quieter and can be fitted into restricted spaces and homes with low eaves more suitability than a conservatory. Detailed quotation given to every customer, giving you piece of mind.